A laundry system spread a bad smell throughout the workshop, and despite chemicals and filter solutions, the problem remained. In spring 2014 a UV purification system from Wallenius Water Innovation was installed and the smell disappeared within a few days. Dalforsån AB is located in Vikmanshyttan, Dalarna, and is a leading manufacturer of welded rollers. Customers are primarily Swedish and foreign steel mills. One operation in the company’s large premises for refurbishing rollers and other components is removal of oil and dirt residues by means of high-pressure washing. The washing water was collected up and stored over long periods in a tank, resulting in bacteria developing and an unpleasant smell arising. The staff reacted negatively to the bad smell, which spread throughout the entire premises. This work environment problems needed to be resolved quickly, but it proved more difficult than expected. Despite various attempts – from chemical additives and marine bilge water separators to a range of filter solutions – the bacteria did not go away. Besides the fact that the bad smell partially remained, continually changing the water in the tank was expensive. As the water contained more oil residues than allowed by the municipal limit values for discharge, they were forced to deposit it as hazardous waste. The cost of emptying, refilling with fresh water and dumping was estimated at over SEK 5,000 per month. The company’s technical manager, Bertil Holmgren, came into contact with Wallenius Water Innovation at an industrial trade fair in Stockholm in winter 2014, where it was exhibiting its products that use UV-light to reduce bacteria in process fluids. – As I am an inquisitive person and always want to find better and more effective technologies, I thought that UV-light might be able to remove the bacteria from the washing water so that we wouldn’t have to have the bad smell. 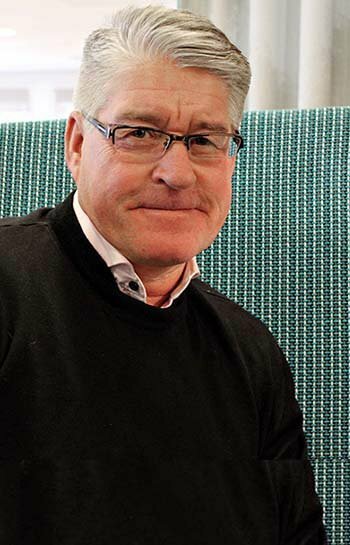 Furthermore, we would avoid chemical additives, says Bertil Holmgren. "Became clear as a mountain stream"
During spring 2014 an UV-purifier from Wallenius Water Innovation was installed for continuous recirculation over the washing water tank. It was a simple solution that could remedy a serious health and safety problem - and the payback period was only 6 months. The continuous purification meant that the water didn't need to be changed as often, and it saved costs for disposal and destruction. – Thanks to our desire to always be at the forefront of new technology, we resolved a work environment problem through purifying process fluids with UV-light. The smell disappeared just a few days after the installation. 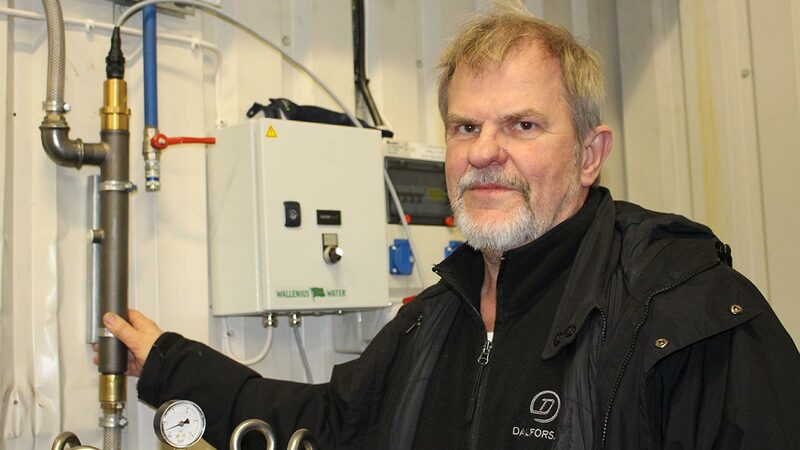 And the water in the tank, which was previously cloudy with bacteria and other material, now became as clear as a mountain stream, says Bertil Holmgren. The company’s history dates back to the 1970s, when it was a subsidiary of British Steel. Dalforsån has subsequently occupied a leading position within the development of weld cladded rollers. Since 2010 Dalforsån has been part of the global Welding Alloys group. Together, the group’s companies have unique expertise within welding alloys and automated welding equipment for surface- and join welding.